Home Maid of Honor Bridesmaids Dresses and Shoes – What are the Best Picks? Whether you are the bride, the maid of honor or someone who is assigned to scout for bridesmaid dresses and shoes, it is a fun and exciting tasks you don’t want to miss. Being a girl, there’s just a fun part of finding the right dresses especially for a big and special event like a wedding. While it can be really interesting, there is an absolute possibility of frustration at some point. As much as you want that to avoid, things happen unexpectedly. So, the best thing you can do is to have some basic knowledge of how to deal with the frustration you may encounter when you are selecting dresses and shoes for bridesmaids. When it comes to buying pair of shoes and appropriate wedding dresses for the bridesmaid it is always been important to take into considerations. Among the factors to keep in mind is the conformability that the shoes and dress can bring to the wearer. It is true that you can find lots of amazing designs of wedding dresses and stylish shoes on the market. 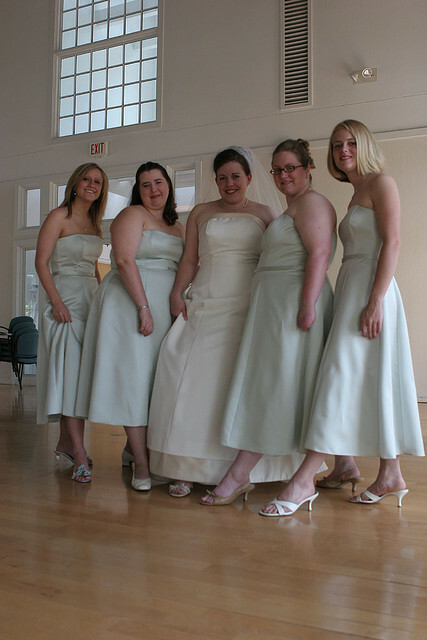 Nevertheless, it is a process to find ideal shoes and dresses for bridesmaids. It may be easy or hard but there are several things to think about. You need to know the body shape, height, skin tone, personality, etc. when picking out dresses and shoes. Other than those, the comfort the dress and shoes can bring to the ladies is another essential factor. The truth is that, there are lots of beautiful shoes and dresses available in commercial stores. They are available in different kinds of designs, colors, fabrics and sizes. Let’s talk about one of those things so you can picture yourself in the store knowing what exactly to choose. 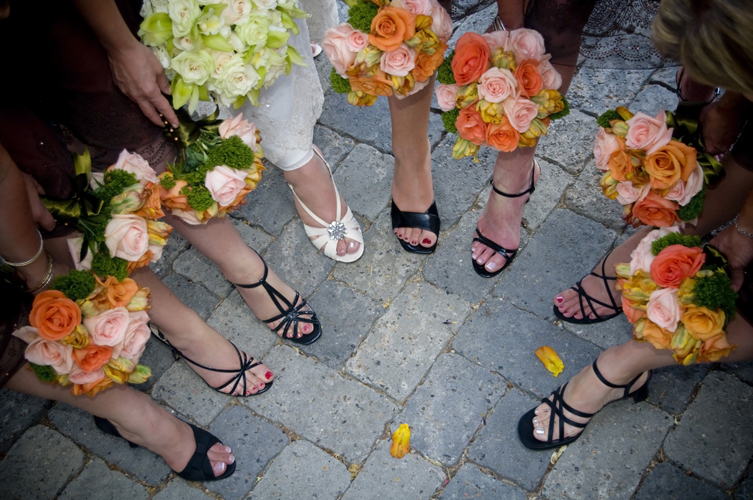 Shoes can help bridesmaids walk feasibly and comfortably. I repeat, “comfortably”. Remember they have to wear shoes all throughout the whole day. Once they are not comfortable with their shoes, the performance to stay cool, look beautiful and remain confident is affected. So, be sure to choose the right kind of shoes that do not only have the proper size but also the best comfort of fabric. Also, it is essential to choose lightweight shoes. They must not be heavy to carry at all. Lightweight shoes can also help bridesmaids and maid of honor feel tireless even if they are standing for hours. Heels of the shoes are a great factor to consider as well. Every girl prefers to wear high heel shoes or stilettos which make them look and walk sexier. You may personally ask them the maximum height of heels they can wear because some may only like to have 3-inch heel shoes, while others can do as high as 4 or 5 inches. The dresses for bridesmaids are more than just comfort. They have to wear the correct size that can flaunt their body curves and lines. Yet, also keep in mind how important the appearance of the dress. What makes them look beautiful can be very evident on the style of the dress. Be sure that the style is in accordance to the theme of the wedding, i.e. color scheme. The fabric is one important criterion when scouting a bridesmaid dress. The comfort to look for depends on the material of the dress. It also depends on the time and climate of the wedding day. You need to ensure that the fabric is suitable for the season. 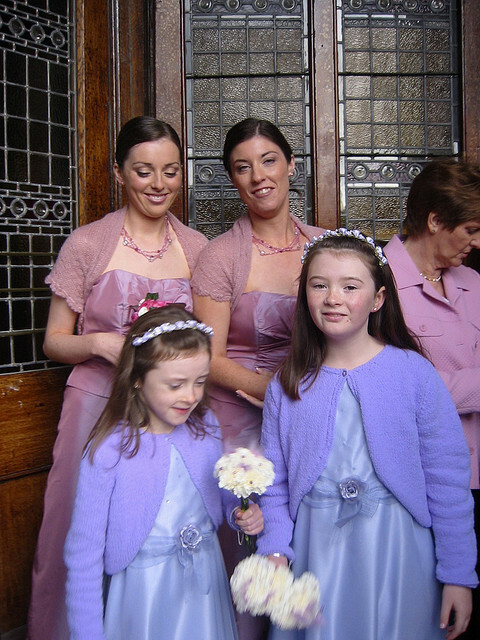 For bridesmaid dresses, always choose appropriate ones that correspond to the wedding theme and color. Your wedding theme and color can be the basis after all even if there is a wide variety of designs, styles, colors and materials. Generally, wedding dresses can be categorized as spring dresses, summer dresses, fall dresses and winter dresses. Bridesmaids dresses and shoes must be selected based on the latest trends. Somehow, each bridesmaid needs to look fabulous and current. That’s easy to make with the stylish, up-to-date dresses and pairs of shoes they are wearing. Now that you have a guide with the help of the points discussed above, the excitement of discovering the right pieces for the wedding can start right away. Just give yourself some time and scout what you need to look for while you have fun.